(2001-2005) In 2001, Colleen launched a consumer website, RuneCast.com; a relationship advice website targeted at women between the ages of 25-35. Her role as the product designer included: user experience design, subscriber features, interactive fortune telling features, greeting card features, site-wide editorial content, illustration, brand identity and customer support.1 At the time of closing this business in 2005, the site had 50,000 registered users and several thousand annual subscribing members. (1995-1996) Throughout the fall of 1995 and spring of 1996, Colleen instructed two evening courses at the Art Institute of Seattle: Intro Authoring, basic authoring in Macromedia Director and Computer Imaging, basic multimedia design in Photoshop. In 1993, not long after breaking into the graphic design field, Colleen was discovered by a small interactive new media firm, Hyperbole Studios. She quickly joined the Houston-based group and moved with them to Seattle where they had established a relationship with Media Vision's Multimedia Publishing Group. 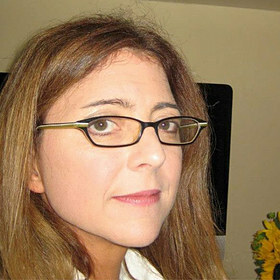 From 1993 to 1995 she led Hyperbole's 2-D design team and helped create four groundbreaking CD-Rom titles. Each title pioneered interactive storytelling and the art of multiple narrative outcomes.